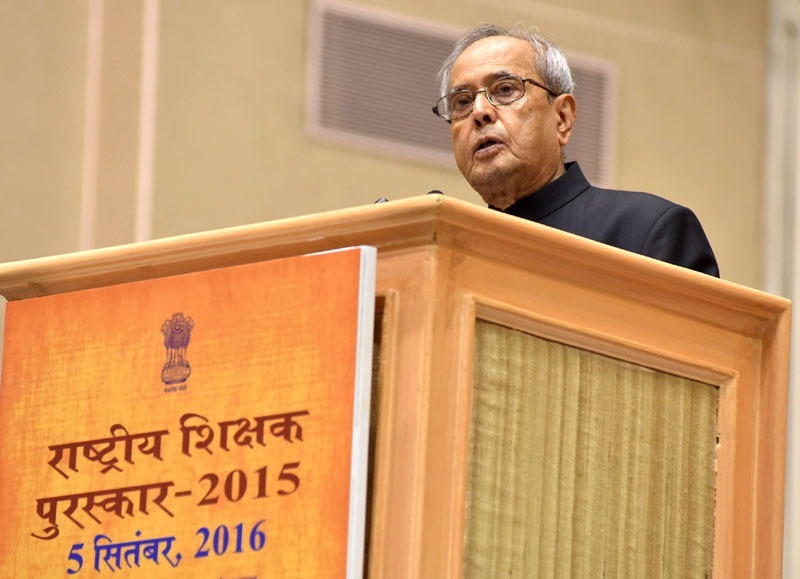 President of India Shri Pranab Mukherjee has today launched the SWAYAM, the portal that takes high quality education to the doorstep of everyone, in the National Convention of Vice Chancellors of all Universities in the Country, and Heads of IISc/IITs/IIMs/NITs/IIITs at Vigyan Bhawan. Along with this, he has also launched the SWAYAM Prabha – the 32 DTH channels operationalised for telecasting high quality educational content free of charge using the GSAT-15 satellite transponders. The function was organised on the eve of the Guru Poornima, a day for salutation to the teachers. The President has expressed hope that these digital initiatives would help in producing the highly qualified youth required for the Make in India campaign. He exhorted all the higher educational institution to march on the path of educational excellence consisting of creation of new knowledge and dissemination of the same for the benefit of the Nation. It was an emotional moment for the President since many of these initiatives have taken shape under his guidance as Visitor of these institutions. 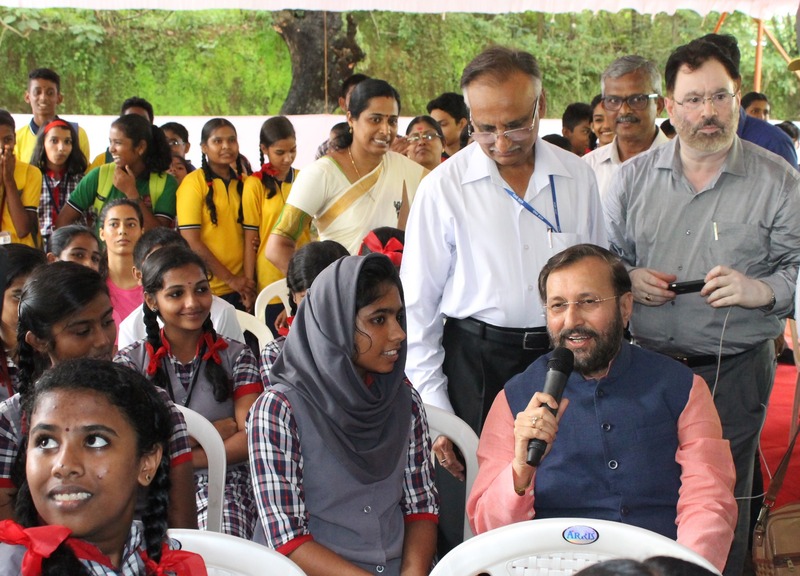 Earlier, Sri Prakash Javadekar Minister for HRD had honoured the President on the eve of Guru Poornima stating that he had been an ideal teacher worthy of all the respect. Dr M N Pandey MOS for HE has welcomed the President. Chief Economic Adviser Dr Arvind Subramanian and Secretaries of Higher Education, and Ministry of IT were present. Nearly 700 Vice Chancellors from across the Country are participating in the national convention that started on 8th July and will end on 10th July. This is the biggest ever gathering of heads of all the higher educational institutions in the Country. Many digital initiatives taken under the National Mission for Education through ICT have been showcased in the meeting. The meeting ended with adoption of “ Programme 17 for 17” : - A 17 point action plan for 2017 – for building digital campuses and high quality education. The action plan covers measures like universal adoption of digital education, digital financial transactions in the campuses from the current academic year. 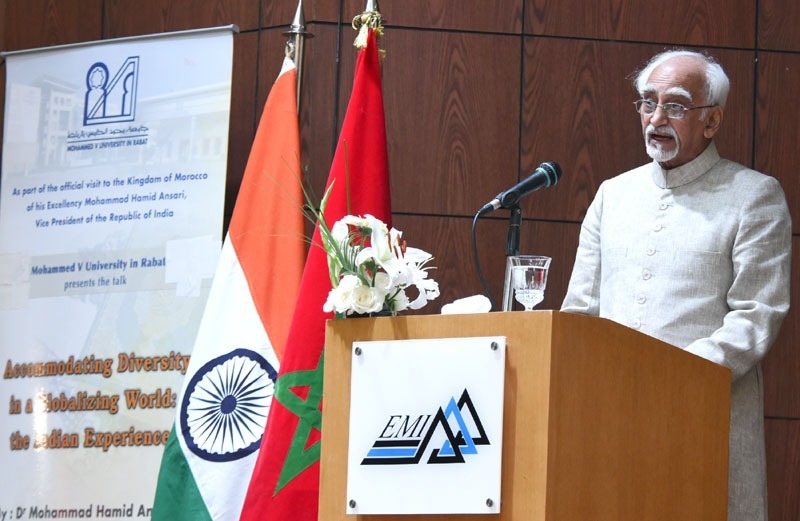 Three Books have been launched on the occasion – account of NMEICT initiatives, list of 323 courses which are on offer in the current academic semester and a eBook of presentation of digital best practices by more than 500 institutions.